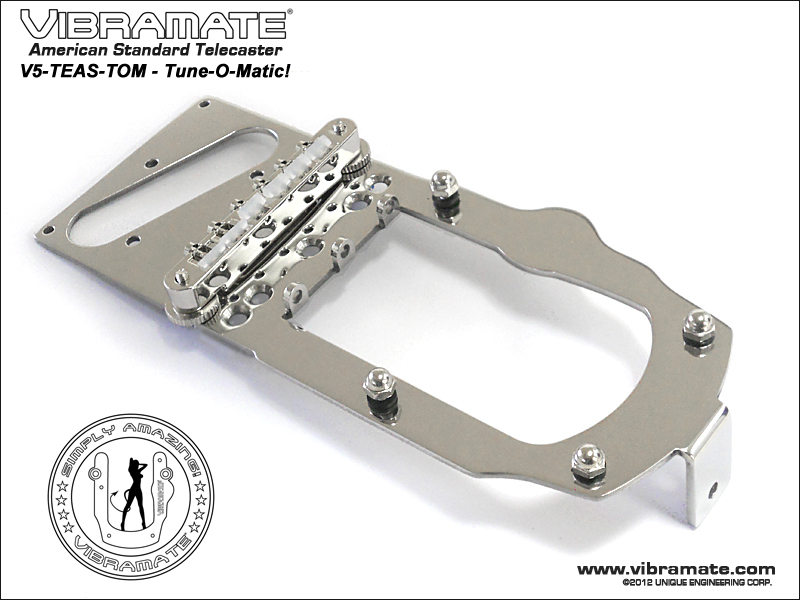 Vibramate V5-TEAS-TOM [V5-TEAS-TOM] - $199.00 : VIBRAMATE, Official Vibramate Merchandise! 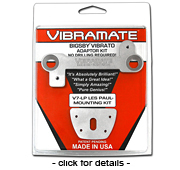 The Vibramate V5-TEAS-TOM Mounting Kit is designed for installing a Bigsby Vibrato on your American Standard Telecaster guitar without drilling any holes. The V5-TEAS-TOM kit also allows you to use a variety of bridge options including a Tune-O-Matic! 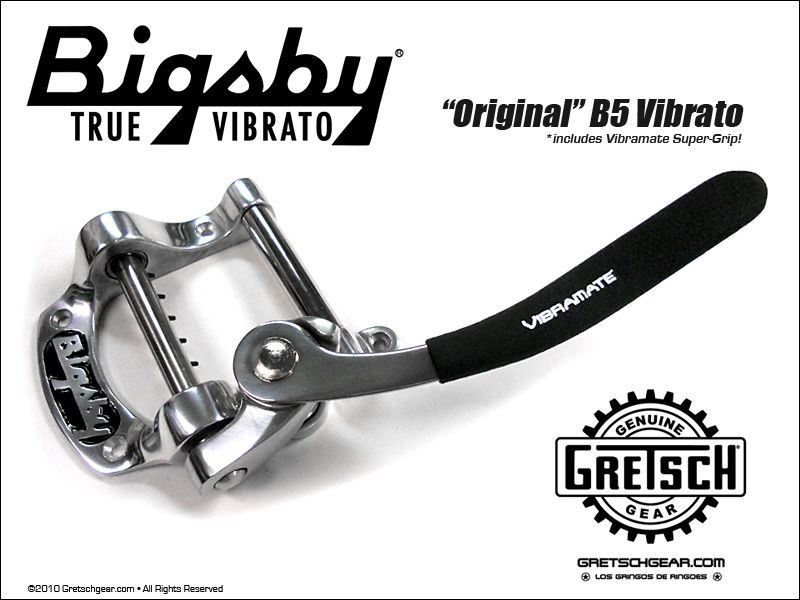 The Vibramate V5-TEAS-TOM automatically positions the Bigsby Vibrato along with your existing neck pickup and Tune-O-Matic bridge in the proper orientation for a clean finished appearance and great performance. 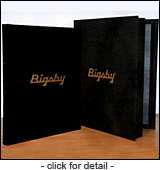 The kit installs in minutes without any drilling and there is no need for soldering. 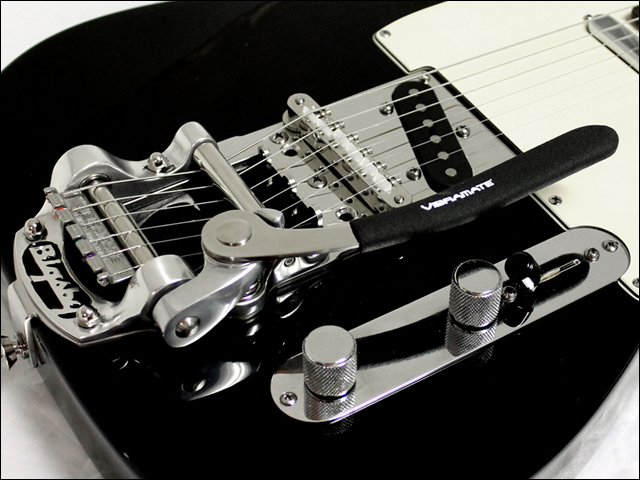 Designed for the American Standard Telecaster player, the Vibramate V5-TEAS-TOM mounting kit has the same basic look and feel as the original factory bridge plate. The design allows you to substitute your own choice of bridge including T.O.M., Roller, Bar, Space - anything that fits on the standard bridge posts will work perfect. 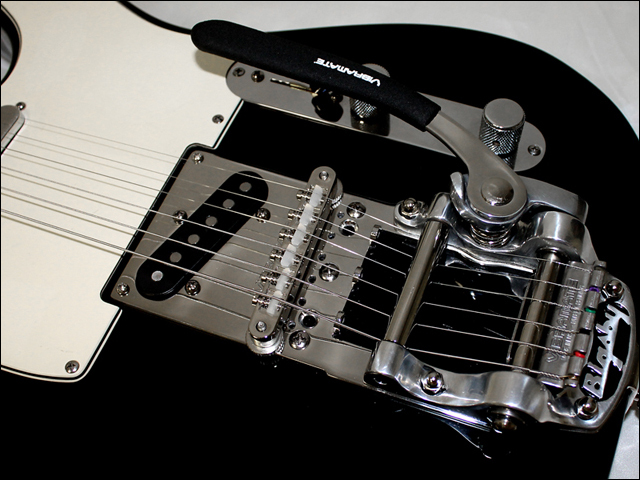 You can even use the traditional 3-Saddles Telecaster Bridge setup. 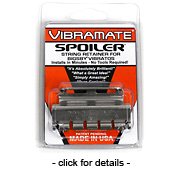 The Vibramate V5-TEAS-TOM Mounting Kit comes complete with required mounting hardware and a Tune-O-Matic bridge with nylon saddles designed for use with tremolos. 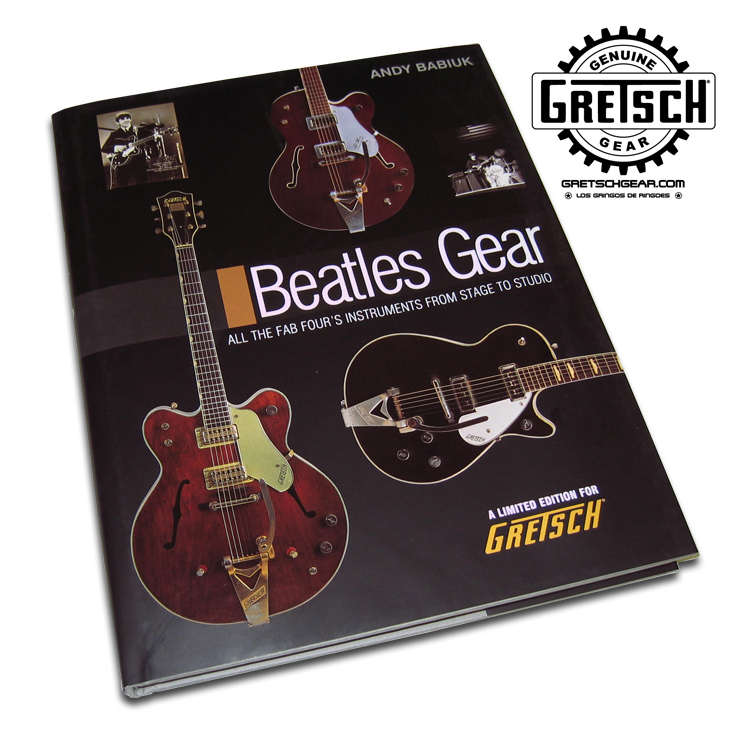 *Bigsby Vibrato is NOT included. The V5-TEAS-TOM-ST Shorty version is also designed to fit Deluxe and Cabronita Models with the narrow spacing 3-screw mount bridge plates.